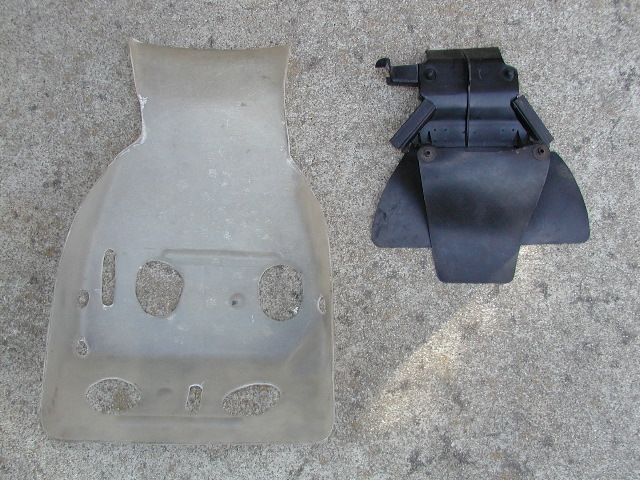 HRC fiberglass air scoop (left) and stock NC30 scoop (right). The top of the picture is the front of the bike. This HRC scoop is a copy. The real HRC part has heat reflecting foil on the underside (as shown in an earlier picture).